Where to start?! 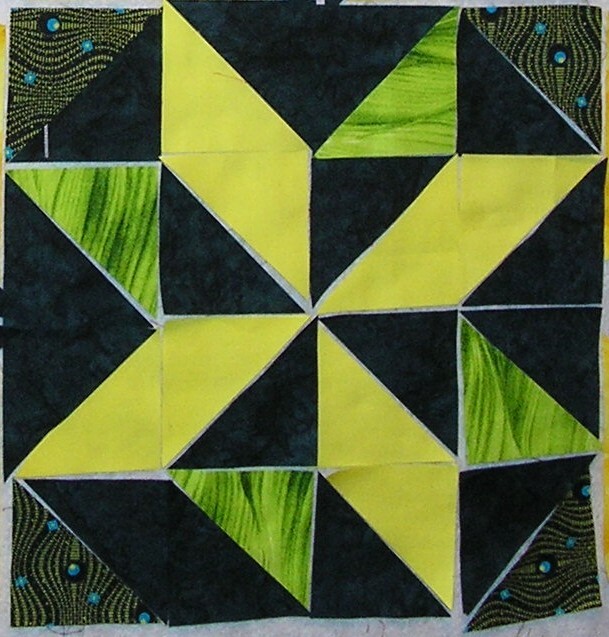 In my last blog about re-creating a quilt I looked at the stars quilt I had made using lots of left-over bits and explained how you could deconstruct it to work out how it might have been made. I lightly tossed in words like ‘Variable Star’, ‘Sawtooth Star’ and ‘Ohio Star’ and a few odd measurements but no explanation. 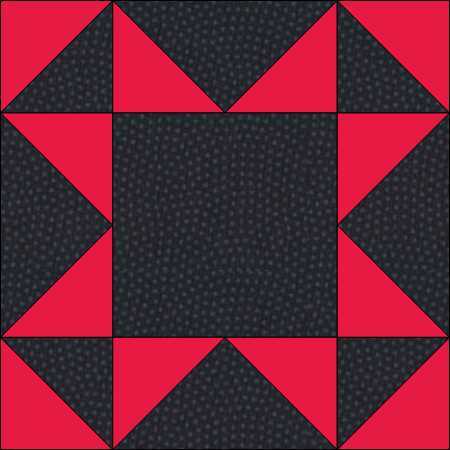 So let’s look at drafting blocks first – they are easier than mosaic quilts with shapes such as hexagons and diamonds. 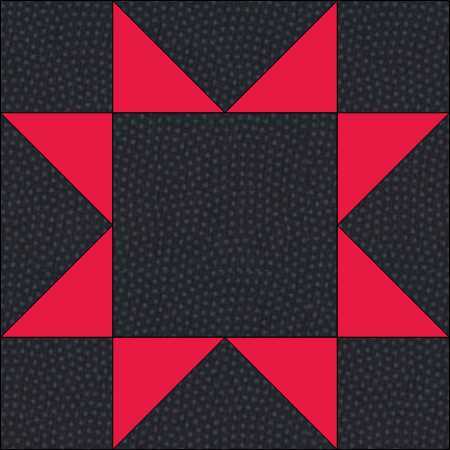 Variable Star and Sawtooth Star are very similar and are based on a 4-square grid. 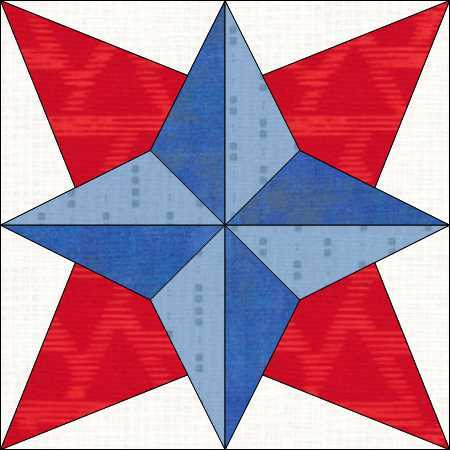 Ohio Star on the other hand is based on a 9-square grid, hence the terms 4-patch and 9-patch when referring to blocks. 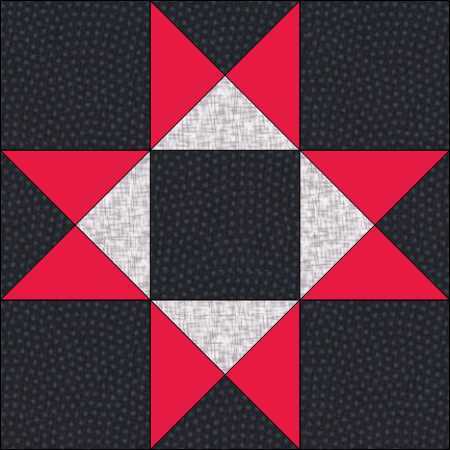 You can also have 5-patch and even 7-patch ones – although 7-patch blocks are rare. 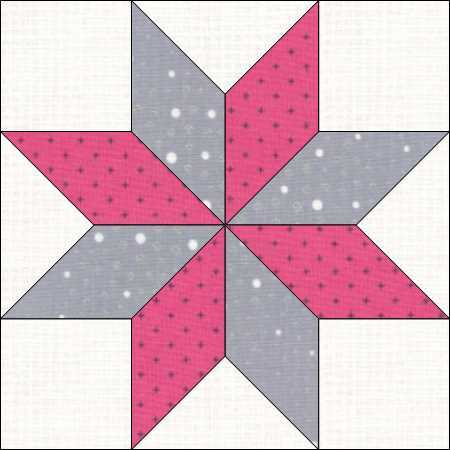 Some patterns are based on grids that are not ‘squares’ – the Eight-Pointed Star (and all its variations) is the primary example as it is based on an octagon; of which more another day. 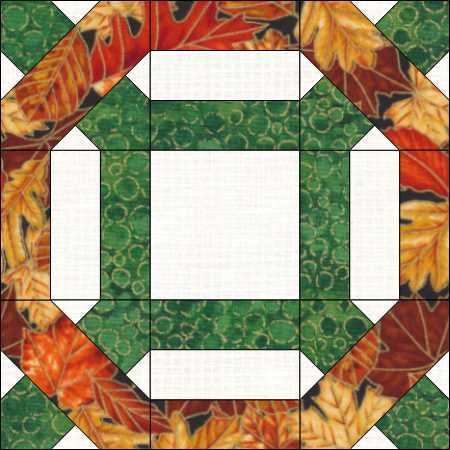 Have a look at these blocks and see if you can find the grid. Something else to bear in mind is the individual units. 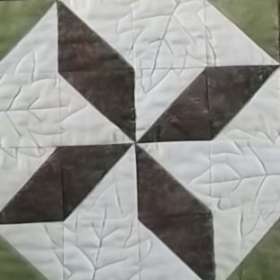 For example the Crossroads block is a 9-patch and you might be tempted to make it at 6 inches, but look at the units – they are also 9-patches and for a 6inch block the units are 2 inch squares; as you may remember from school, 2 does not divide into 3 very evenly or easily. So make the Crossroads block at 9 inches if you want to rotary cut. 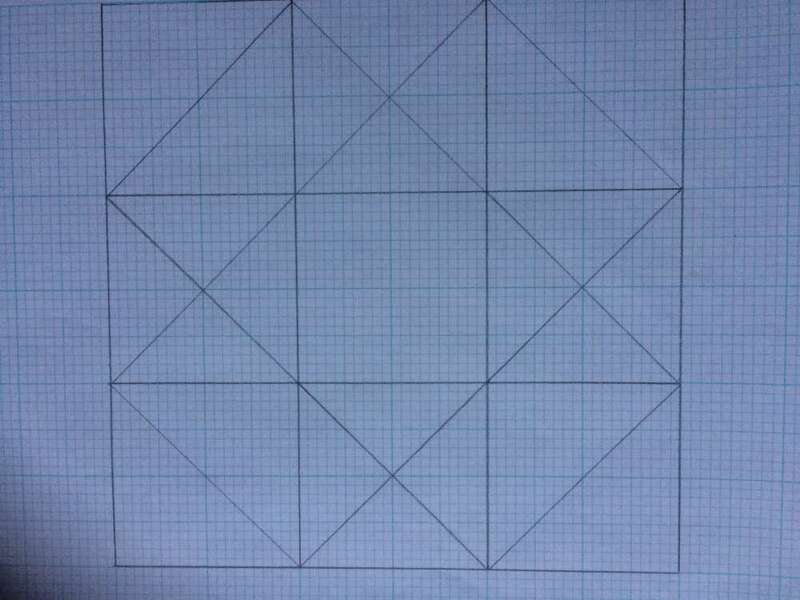 Whether you want to keep things simple or whether you want to make blocks a ‘funny’ size (easy if you intend to make templates rather than rotary cut) graph paper is what you need to help you to draft a block. You can use inch graph paper if you prefer to work in inches or metric if you prefer centimetres. There are plenty of websites that offer downloadable free graph paper – two I found are Incompetech and Kent State University maths department. 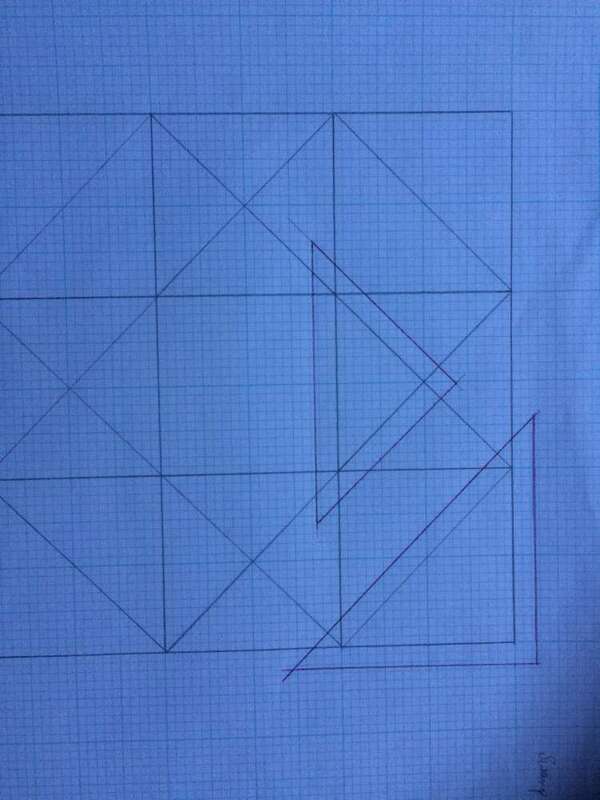 You used to be able to buy pads of 12 inch square graph paper for drafting quilt blocks, I haven’t seen it on sale recently but it might be worth searching for. 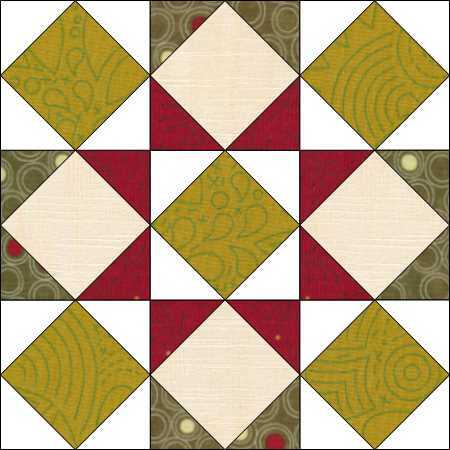 Once you have found the graph paper you need you can simply draw your block out to the size you want. 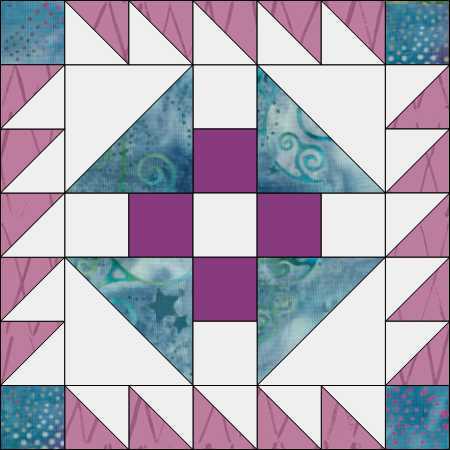 Add seam allowances around each piece to give the measurements you need for rotary cutting or making templates. 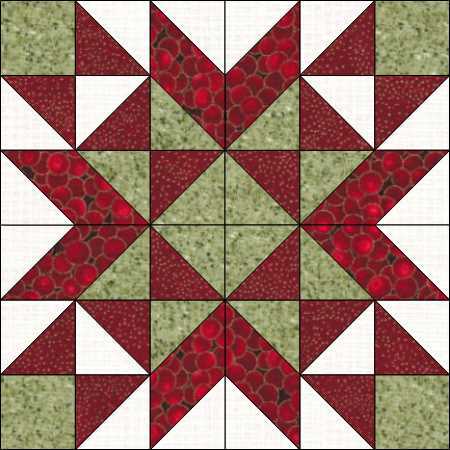 The block shown here is a 9-patch called Swamp Angel, a variation of Ohio Star. 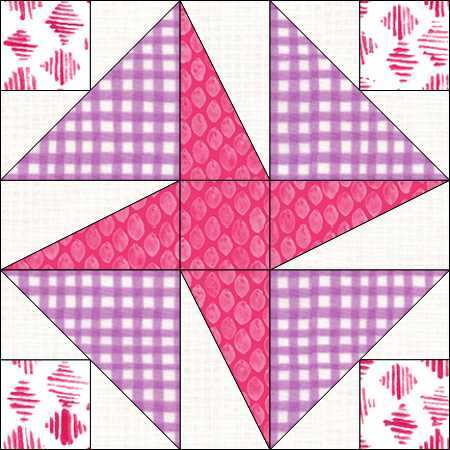 Why not try drafting a few blocks – you don’t actually have to make them, remember, just have fun drawing them and colouring them. Next time I will look at how to draft octagons and hexagons.